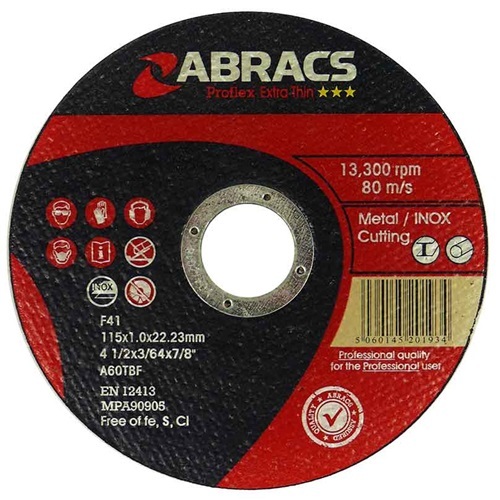 Abracs "Phoenix II" cutting and grinding discs are a superior quality European manufactured range of discs available for both metal and stone applications. 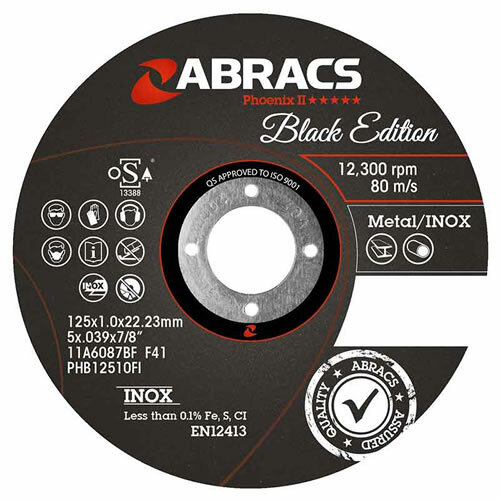 Phoenix II discs are produced to O>S>A safety standards and marked with EN12413. 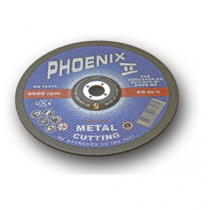 Manufactured using premium quality materials, Phoenix II discs offer professional performance, long life and excellent value.